rock ‘n roll, bringing to mind ‘90s acts like Nirvana, The Lemonheads, and The Pixies. Ballads like “Himalaya” and “Nightdriving” showcase Lloyd’s powerful vocals with steady and smooth rhythms from the guitars and drums. The more upbeat “Baby+Whenever” and “When My Day Comes” both rely on pounding beats, rocking guitar riffs and catchy choruses. 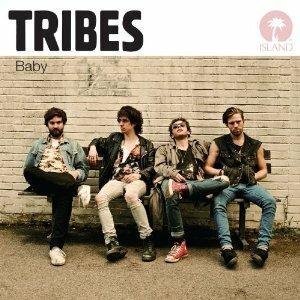 There are a lot of bands to see at SXSW, but if you get the chance to catch Tribes, Baby proves that they should be amazing live.